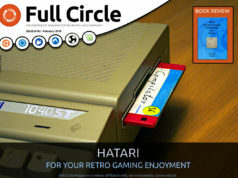 Home magazine Issue #49 is out for the taking! 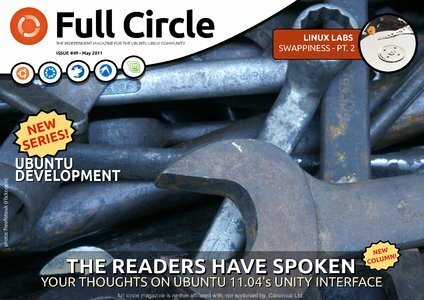 Full Circle – the independent magazine for the Ubuntu Linux community are proud to announce the release of our forty-ninth issue. * How-To : Program in Python – Part 23, LibreOffice – Part 4, Ubuntu Development – Part 1, and Use Google In Thunderbird. * Linux Lab – Swappiness Part Two. * Review – Virtual Machines. * Top 5 – Web Management Tools. * NEW COLUMN! I Think – we pose a question and you, the readers, give your thoughts. This month: what do you think of Unity? 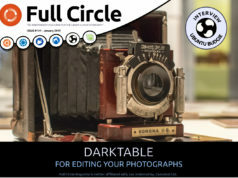 Next articleFull Circle #50 - the half-centenary issue!